Get your FREE Sample issue of Women’s Running today! 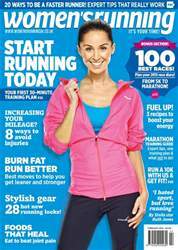 (0 Customer Reviews) | Write Review 12 issues per year Women’s Running UK delivers editorial content which is 100% relevant to women who run. There has never been a wider choice of running events for women of all ages and abilities who want to be more active, enjoy running with friends and raise money for their chosen charities. Motivational and supportive, Women’s Running UK is the ideal companion for all women who regularly run or those who want to get started and reap the benefits of looking good and feeling fantastic. Looking for Women’s Running in print? Unfortunately pocketmags.com does not sell print copies of Women’s Running, but all is not lost. Our partner at magazine.co.uk sells print subscriptions at the best prices online. Whether you're a new runner just about to run for five minutes, or you're about to start marathon training, we've got what you need to stay motivated and get the most from your running. 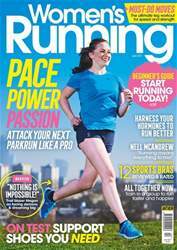 This issue has a beginner's 5K plan, plus a marathon training plan as well as expert tips on staying injury-free and inspirational interviews. It also features a bonus section which reveals our pick of the 100 best races, from 5K to marathon, in the first half of 2015. Plus an exclusive interview with TV star Ruth Jones. 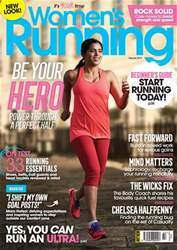 Women’s Running UK delivers editorial content which is 100% relevant to women who run. 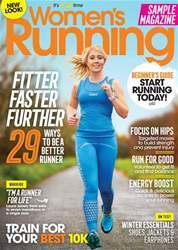 Every issue of Women’s Running UK includes dedicated sections on weight loss, gym training, healthy nutrition and running fashions plus detailed recipes to improve energy levels and boost recovery. Every issue includes Trail Zone – our ‘mag within a mag’ which focuses on the growing off-road running scene with reports, workouts, races and kit suggestions for all of your trail running needs. 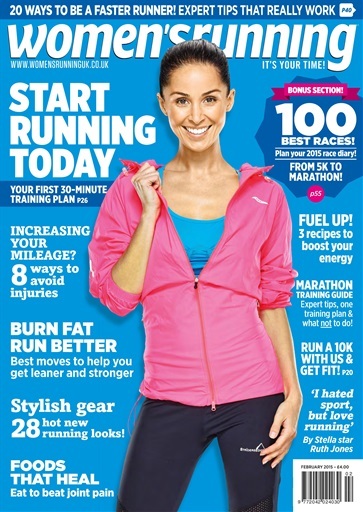 You'll receive 12 issues during a 1 year Women’s Running magazine subscription. 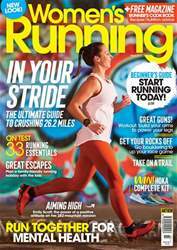 You'll receive 12 issues during a 1 year Women’s Running magazine print subscription.